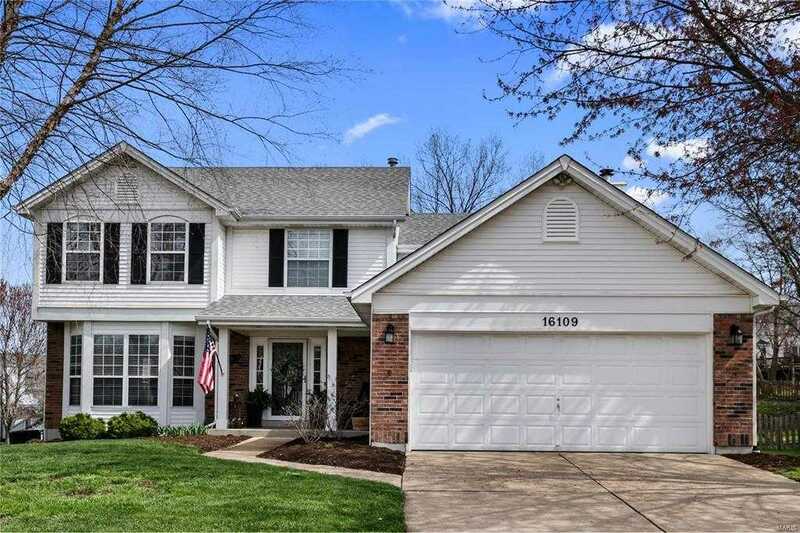 You’ll love this gorgeous 2-story home located in highly sought Nantucket Subdivision! This 4-bedroom, 3-bathroom home has over 2,800 sq. ft. of spacious elegance. You will love to prepare all of your meals in the fully updated modern gourmet kitchen with custom cabinets, granite countertops, and stainless steel appliances. Imagine cuddling up to the cozy fireplace with a good book in the hearth room with glistening hardwood floors. Every night, drift off to sleep in the oversize vaulted master bedroom suite with spacious, relaxing master bath. The finished lower level with office (or 5th bedroom) & full bath offers great space for entertaining and walks out to patio and huge fenced backyard. Enjoy BBQ x2019;s and evenings on the deck. Fabulous neighborhood amenities include community pool, tennis courts, and clubhouse. All of this in award winning Rockwood School District and just minutes from Wildwood Town Center with numerous restaurants & shopping!